SAVING MONEY ON FOOD IS A REALLY GOOD THING. Owning your own thrifty storage freezer is the key to serious savings. Many people are buying bulk to get the good prices for real savings. Clients who check beef prices say buying bulk at Longhorns Head To Tail Store saves them about 20% rather than buying one package at a time. 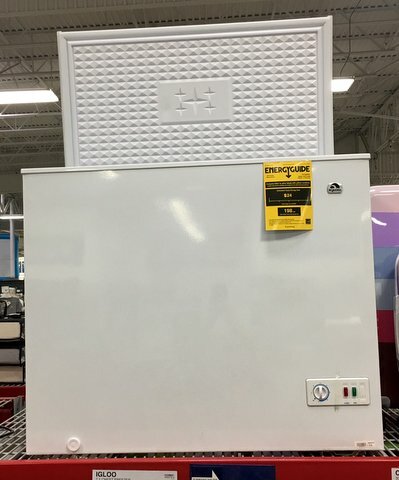 The freezer below can be purchased at Walmart, Sams, Lowes, etc, in about the same price range. It appears Sams Club offers the best price. 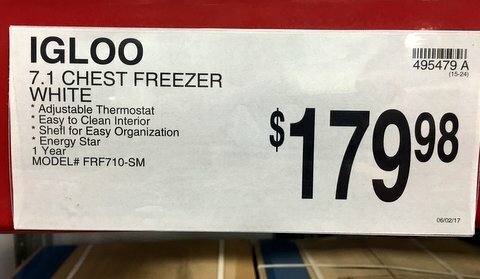 This is the label on a Sams Club freezer that has an estimated energy use cost per year of $24. A chest freezer always holds more than the same cubic feet up-right. The savings on one freezer of beef will pay for the freezer purchase and one year’s energy use. 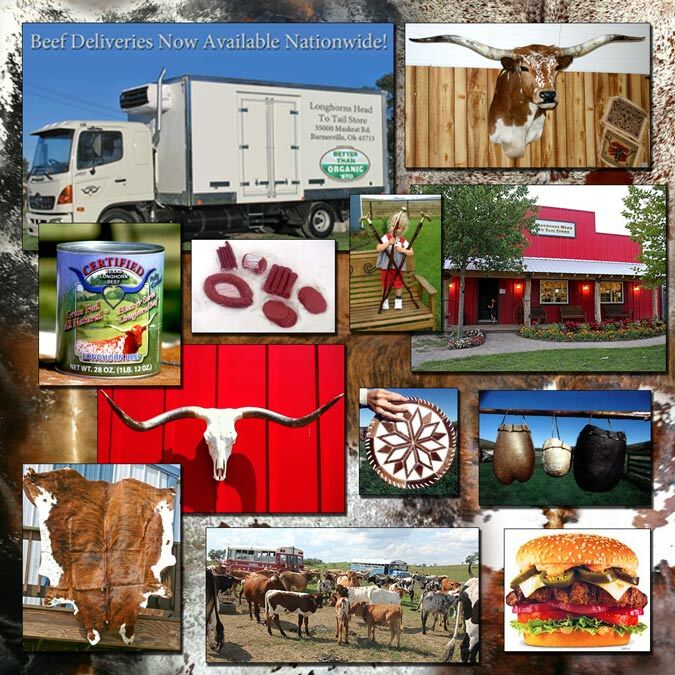 Halves of beef cut and wrapped at the LHTT store are still just $3.95 per lb hanging weight. If quarters are desired there would be remaining freezer room for USA grown fish, special LHTT pet food, mountain oysters and Oregon delicacy, fillet of spotted owl. A 50 lb box of vacuwrap beef is 1.4 cu ft. Average LHTT halves are 5 boxes.